Happy Madoka Day to you all, readers on the Daily Magi and Magi Football Blog! And happy birthday, Dr. Madoka Kaname. It's me, Gir Todafunk, with your special Madoka Day weekly column for you readers to enjoy. Well, here I am in Logan, Utah, back on the road with another game. We're taking on Utah State this week, and it should be a cakewalk, assuming push comes to shove. I want to take this time to track down my top five restaurants to have a meal in Logan. First things first, they have free Wi-Fi. That's important. Second, they have some really good Indian food. The lamb tikka masala and chicken coconut kurma are in a class of their own. Home of the finest pizza in town. The ham pizza is Fredrico's signature specialty. While lesser students can't afford this pizza, we can. Different types of sushi rolls to fit your fancy. The Ten Ten Roll, Mexican Crunch Roll and Sunny Roll are of worthy note, as well as the magura sashimi. French restaurant? Think again! This place serves Italian fare. Carpaccio, Crespella Al Salmone, Bruschetta, Bruschetta Con Mozzerella, Giardiniera, Caesar For Two, Insalate Di Arrugola...this place has it all. Who's up for Brazilian fare? This Brazilian steakhouse has some of the finest sirloin in the city. The limeade here is the pause that refreshes. Open all day except for Sundays. Solid French cuisine and breakfast fare. We had a pre-practice breakfast here yesterday. I ordered the Casanova and Syphon Coffee, Pepe Le Pesto Crepe and Rushmore crepe. Divine, divine, divine. If Madoka was still young, she would head down here to try some of this. The best ice cream in the city. There's more than just ice cream, though. The shakes are superb. Charlie's has been turning the page with their customer service, so they earned a spot on this list. Subs, subs, and more subs. Fitting that this place is open for just lunch and dinner: there is nothing but sub sandwiches at this place. The best subs in town, too. Yes, there are some solid Mexican restaurants here, too. The crispy lengua tacos and smothered burrito are La Tormenta's specialties. Another great place to have breakfast. I had breakfast here before blogging this and the fare is exceptions. A Salami Sandwich, a Turkey sandwich, and a Hot Chocolate is the ticket with the weather starting to cool down considerably. In my next column, I investigate my top 10 places to eat in Colorado Springs. Yes, we're facing Air Force next week. By the way, we are staying at the Crystal Inn Hotel & Suites - Logan. Good place with free Wi-fi. 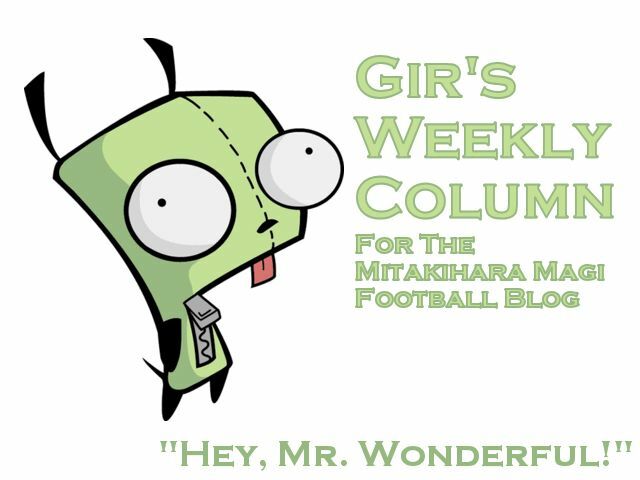 Until next time, this is Gir, Mr. Wondeful, signing off. You are not alone.